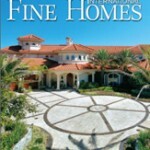 Prudential Real Estate Affiliates has one of the greatest benefits offered by the Affluent Markets Program to network with peers across North America who represent clients with the means to acquire luxuryFine Homes International Magazine residences, equestrian estates, resort properties and second homes. Beside the opportunities to network with other Fine Homes Specialists, Prudential has produced a magazine that is available in print and digital format to provided international exposure to our luxury properties. The digital edition is an excellent way to view the great properties offered by Prudential.